What is the purpose of the LED Kits? 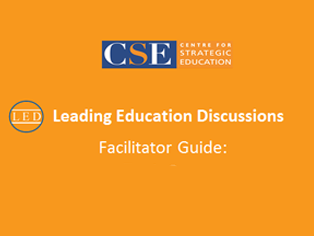 CSE Leading Education Discussion Kits are designed to support education leaders to share & stimulate new thinking in education by provision of easy to read papers from local and international thought leaders and a set of discussion resources. The Kit provides all the components you need to lead the discussion in your organisation around the key issues confronting teachers, schools and education systems. 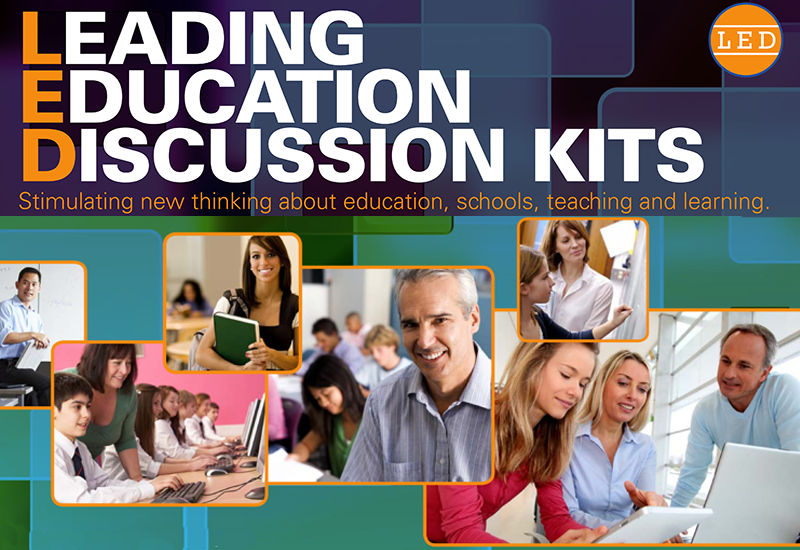 What is in the Leading Education Discussion Kit? A Paper in the CSE Leading Education series written by a global education expert on the discussion topic. Multiple video clips with the paper’s author outlining key points of the topic. Short video clips set the scene for Discussion Starter Activities. 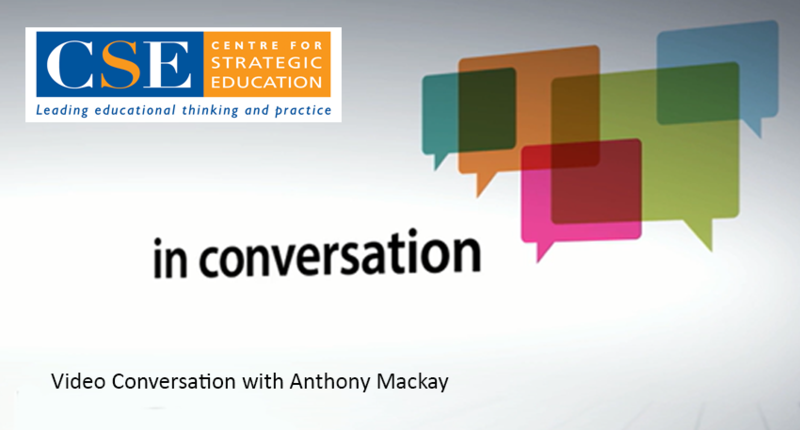 The full 60 minute conversation as part of CSE’s In Conversation series. Each Leading Education Discussion Kit is designed to support a 75 minute discussion between 10-20 people to stimulate new thinking in education. Discussion Facilitators can adapt the Discussion Starter Activities if less or more time is available, or if the group is a different size. 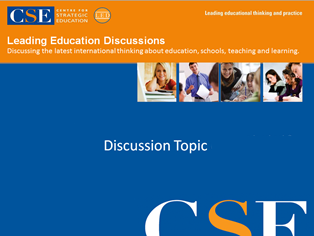 A CSE Discussion Paper is included in each Kit to provide background to and extension to the discussion. Papers should optimally be read prior to the group discussion. Purchase of the Kit enables you to download multiple copies of the Discussion Paper for distribution to your group. Up to four Key Questions on the main topic of each Kit are accompanied by interactive Discussion Starter Activities. Discussion Starters aim to actively engage your group in understanding and debating the topic’s big ideas and to consider application in your own context. Discussion Starters are provided in a Powerpoint format to assist the flow of the discussion – or they can be downloaded and printed beforehand for each participant. Video Clips provided in each Kit allow discussants to hear the author directly outline their thinking relevant to the discussion questions. Video clips are designed to align with Key Questions. A longer version of the Video Interview with the author is also available. This can be viewed either before the discussion or as a follow up to reinforce the ideas that arise during the discussion. A Checklist is provided to support the Discussion Facilitator to have everything in place to support a rich and engaging discussion with your group. LED Kit 1: The world is going ‘open’: what does this mean for learning in schools? 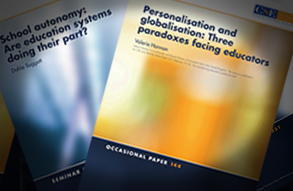 LED Kit 2: The impact of personalization, globalization and radically changing work futures on learning in schools. LED Kit 3: The New Work Order: preparing young Australians for work of the future.